The AUDCHF has sold off as the Swiss Franc rallied, but I think the tide is turning and that we will see a reversal. With today's NFP report on the horizon I will stay clear of the non-sense surrounding the aftermath of the release and stick technical trades. 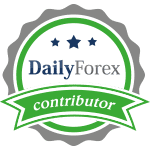 For now it looks like the support level will hold and the AUDCHF may be in for a short-covering rally which can propel this currency pair back into resistance. Overall I think we will see a strong er AUDCHF this month which is why I took my long position a few moments ago.